Origami is a creative art done with the paper. It is the ancient art of Japan but said to have its origin in China. This art involves paper folding and creating some amazing images which otherwise seem impossible to create from a medium like paper. The origami or papermaking was developed in China and some of the oldest folding paper models found are from china itself. Later it was adopted by the Japanese people but still many are of the opinion that origami took its birth and developed in Japan. The traditional form of origami was based on a square piece of paper from which endless variety of shapes could be created with the help of various small numbers of folds. This art form when practiced in ancient times did not involve cutting and pasting. Other than china and Japan, Spain and France started practicing this art in 16th century. The people of Spain used to fold the paper documents or baptismal certificates in the form of little birds called “Pajarita”. In the similar fashion “Cocotte” was done in France. Origami is an art where the designs you make can be simple like that of birds or aero planes or complex with lot many intricacies’ like buildings or spring made of single piece of paper. To make a complex structure foil is preferred than paper as it can be folded more with less bulk. The standard origami paper is mostly 15cm and there are some standard folds which help in creating bases. Once the base is shaped then other folds done will create different shapes. One of the most famous shapes in Japanese Origami is the shape of a Crane as it is considered to be very lucky. One of the many legends pertaining to Origami declares that the person who makes thousand paper cranes all his desires will come true. Since then the origami crane symbolizes peace in Japan. Many new artists gave their contributions in this art form like the credit of creating curved and spiral shapes in origami works goes to Joseph Albers, and Akira Yoshizawa introduced new techniques and intricate art forms. His wet paper folding technique helped in holding the shape better when the designs were complex structures. The American Museum Natural History in New York since last 30 years erected a Christmas tree which is every year adorned with different Origami shapes like birds, turtles, lobsters, dinosaurs and crabs. The different shapes created held people spell bound. The people with special liking and inclination toward creativity can try their hand on origami with the help of books available for the beginners. The books available are the complete guide with proper instructions and several diagrams to help you out. 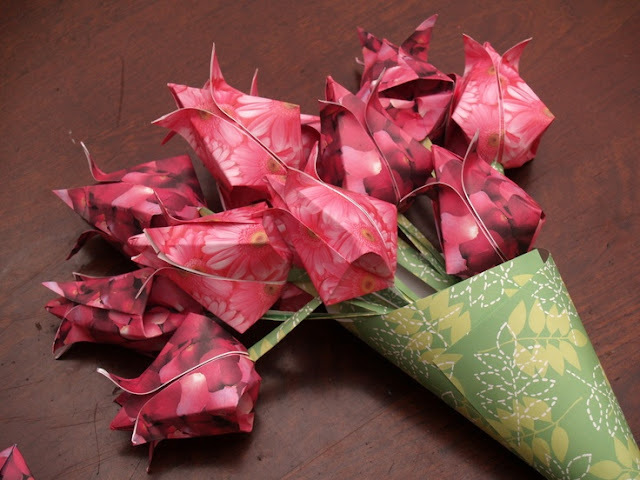 Kits with illustrated instructions and materials needed for origami art are also available. These kits are amazing and even children can give a try and make this miniature work of art known as Origami.